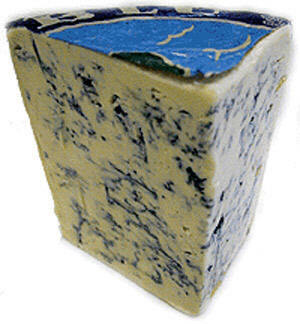 There are two major types of Blue cheese: soft/white - mild, with a sweet taste of herbs and firm/hard - crusty outside with a sharp, tangy taste and smell . 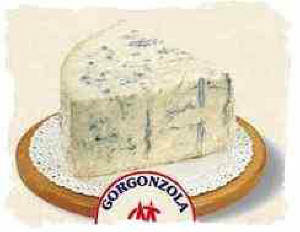 Blue cheese has a veined appearance within a white interior. 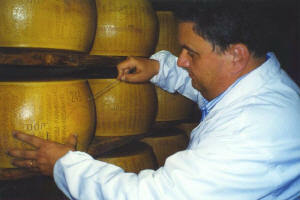 This cheese ripens from the center to the crust. 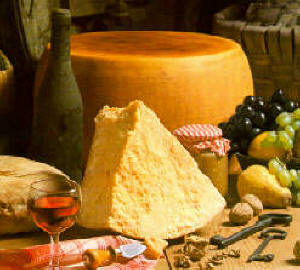 It is desirable that the veins be dispersed evenly throughout the cheese. 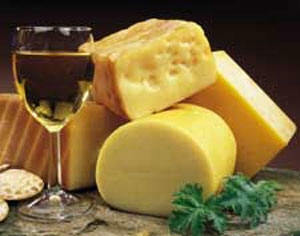 Gouda is a semi-soft to hard cured cheese that becomes spicier and more robust as it ages. 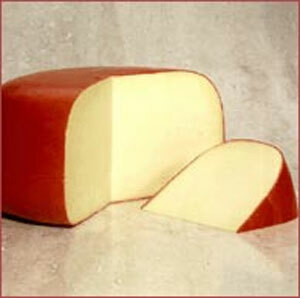 It is similar to Edam in its mild and nutty to buttery taste, but Gouda is aged longer and has a richer flavor. 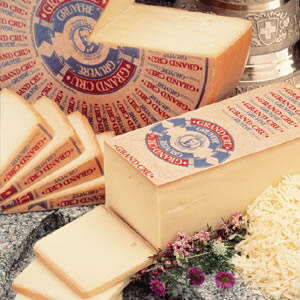 Technically defined as a Reduced Fat Swiss. 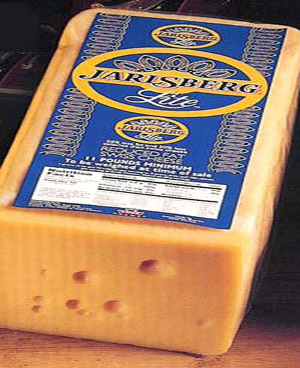 Jarlsberg Lite contains 50% less fat and 30% fewer calories-less sodium, than regular Swiss cheese. 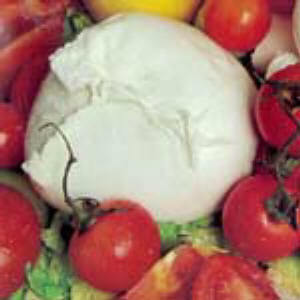 Mozzarella has a mild, milky taste and is more of a cooking cheese than a cheese board cheese due to its good binding properties, moist texture, and ability to melt. 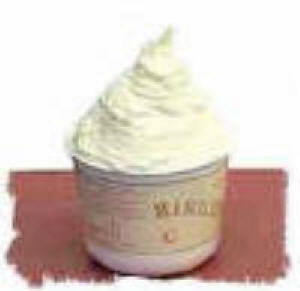 It is a "stretched-cured" cheese meaning that during the manufacturing process the curd is pulled, kneaded and shaped while it is still pliable. 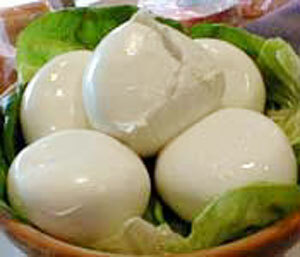 Therefore, it absorbs the flavors and juices of the ingredients surrounding it and is perfectly designed for cooking. 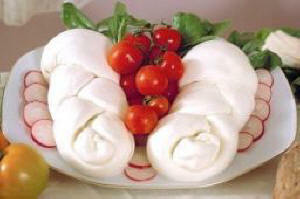 Mozzarella is also low in fat; therefore, it is ideal to use even when dieting. 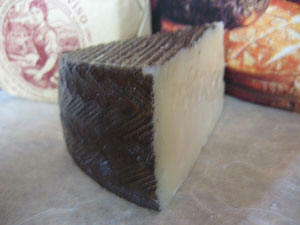 Provolone is usually a smoked cheese, ranging in flavor from mild to sharp, with a smooth texture. 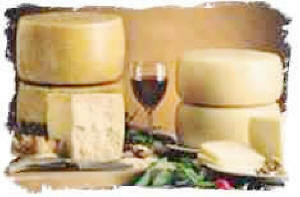 The mild ones are younger and used as table cheeses. 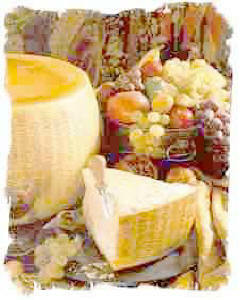 The sharp ones are older and harder; therefore, used in cooking. 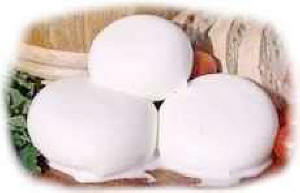 Traditionally, it is pear-shaped and bound by cord.